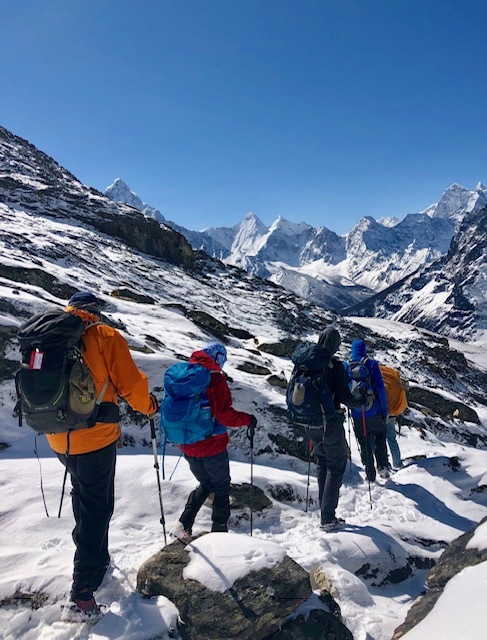 Our efforts to climb Lobuche East were thwarted by a very unseasonable snowfall. More snow in the evening – and wind – made us decide that discretion really was the better part of valor. 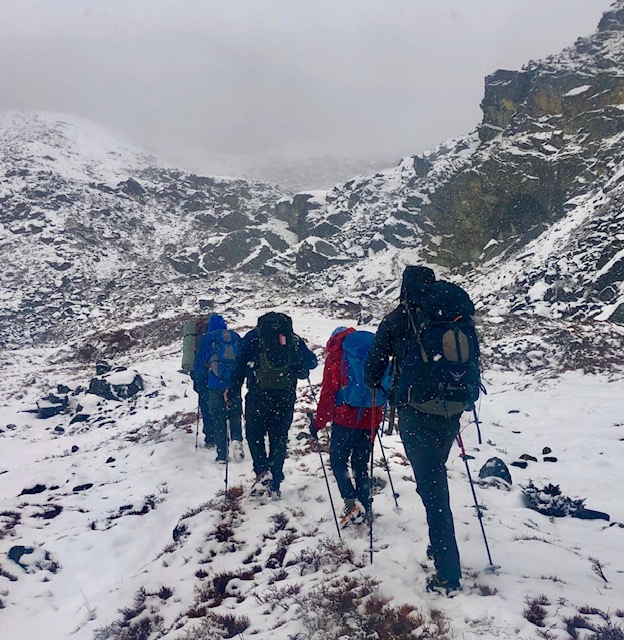 Of course the next day was beautiful for our descent, and the snow made the scenery delightful (pictured below). We are disappointed not to climb Lobuche but happy to not be in an avalanche. 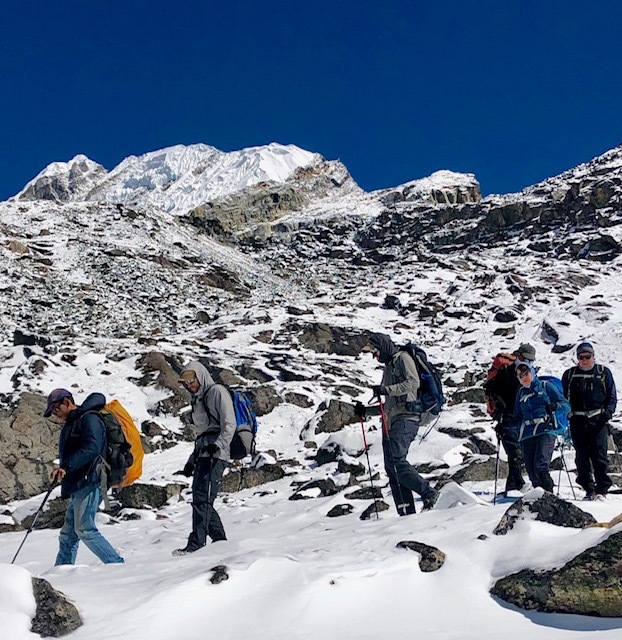 We are now heading down to Dingbuche to dry out and prepare for Island Peak! Team remains in good health physically and mentally.